Crank out high-quality 1 - 4.3ft bales in all kinds of crops and conditions, with heavy-duty 8-ball twine box and optional bale thrower. Smallest of the small square balers and uses six tines to move crop smoothly. 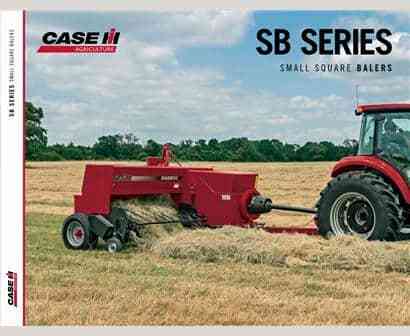 The SB531 Small Square baler features a dependable high-throughput rotary feeding system and uses a packer fork with two paired rotating fingers. Matches high-production needs of large-scale producers for maximum capacity.